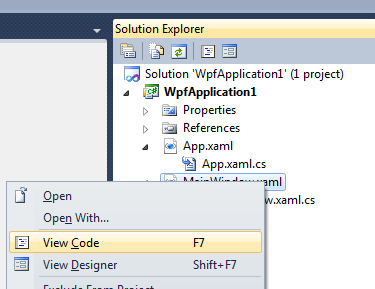 WPF applications are made up of markup (XAML) and code-behind (managed code). The markup defines the layout and appearance of the application, whereas the code-behind defines the behavior. You use the code editor in Visual Studio to edit code-behind. You can open the code editor in several different ways. 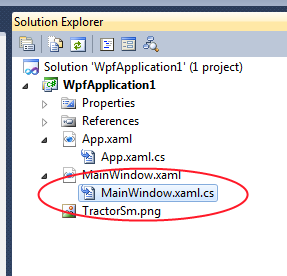 Double-click the code file from the Solution Explorer. For C#, this is a .cs file. 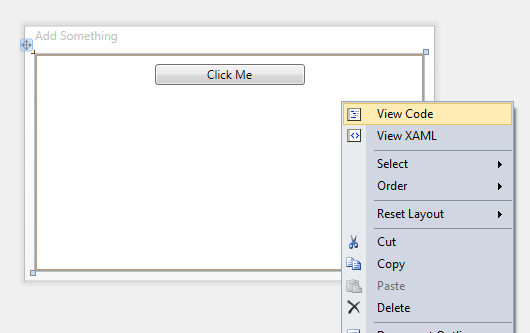 Right-click a .xaml file and select View Code. Right-click anywhere in the design view editor and select View Code. 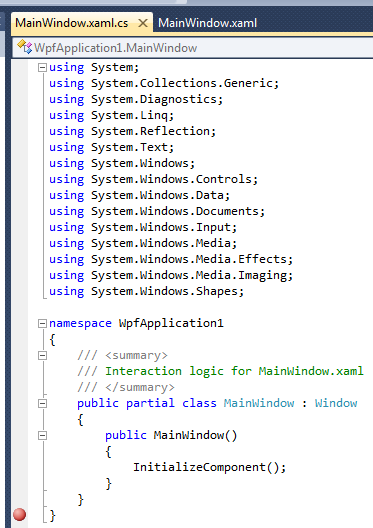 You can do this either on the design surface or in the XAML editor. You can also press the F7 key while you have a .xaml file open in the design view editor, or have a .xaml file selected in the Solution Explorer, to open the corresponding code-behind file in the code editor.